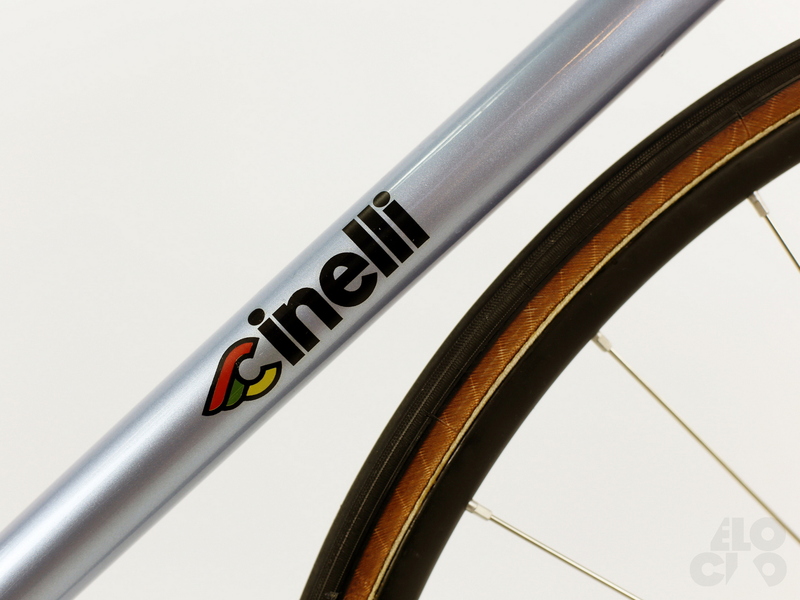 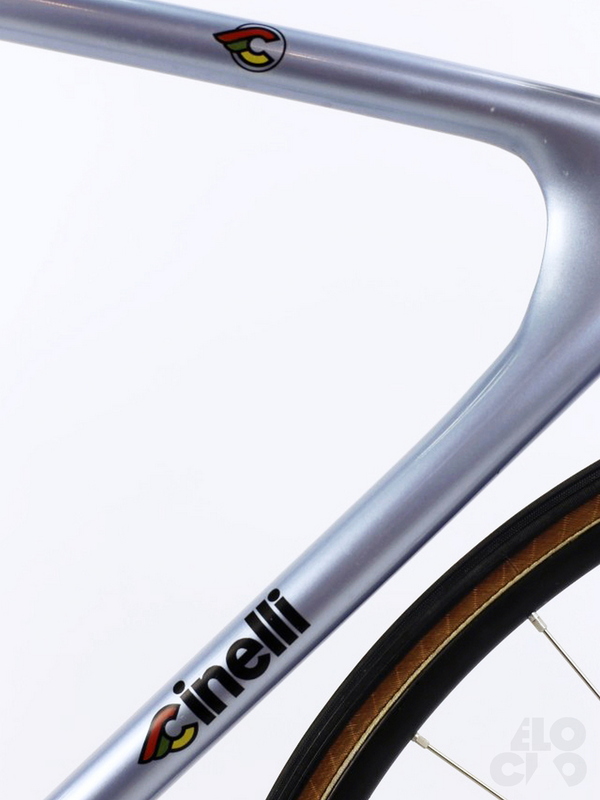 Our restoration of this Cinelli Laser of first build generation. 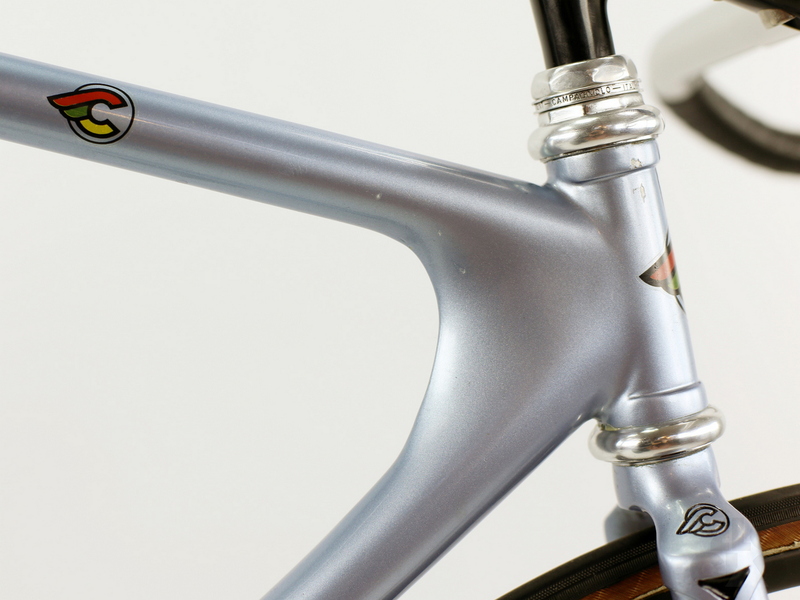 The frame was build in 1984 or 1985 for the italian national team. 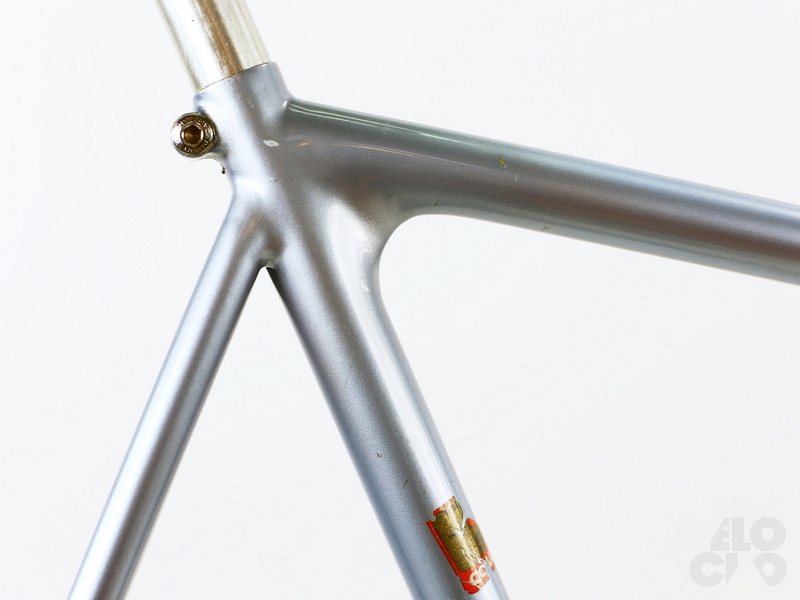 Purpose of this frame was pursuit racing on track. 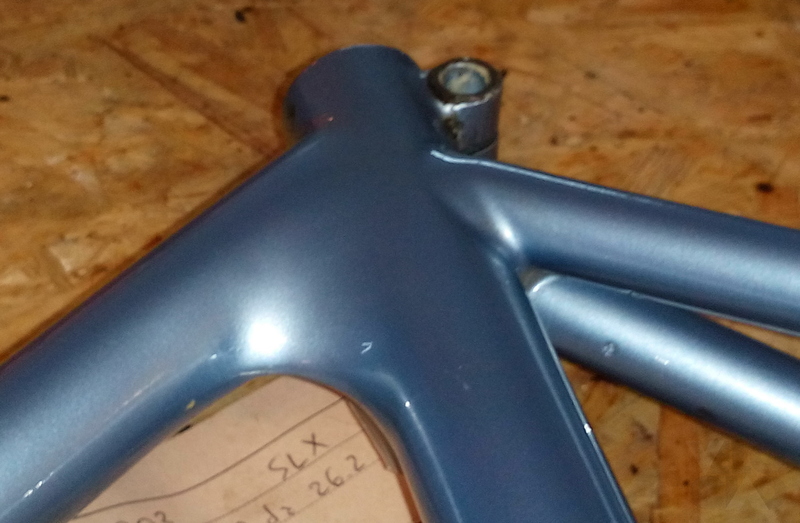 It has no serial number. 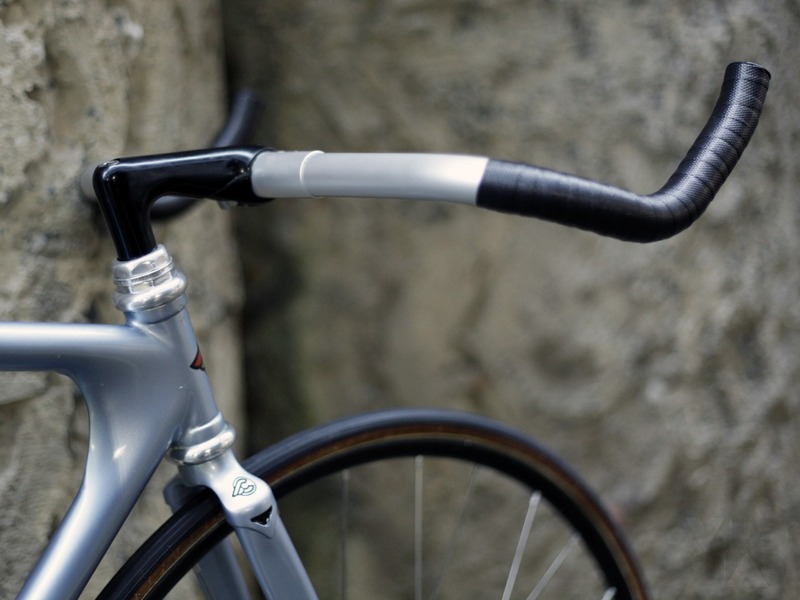 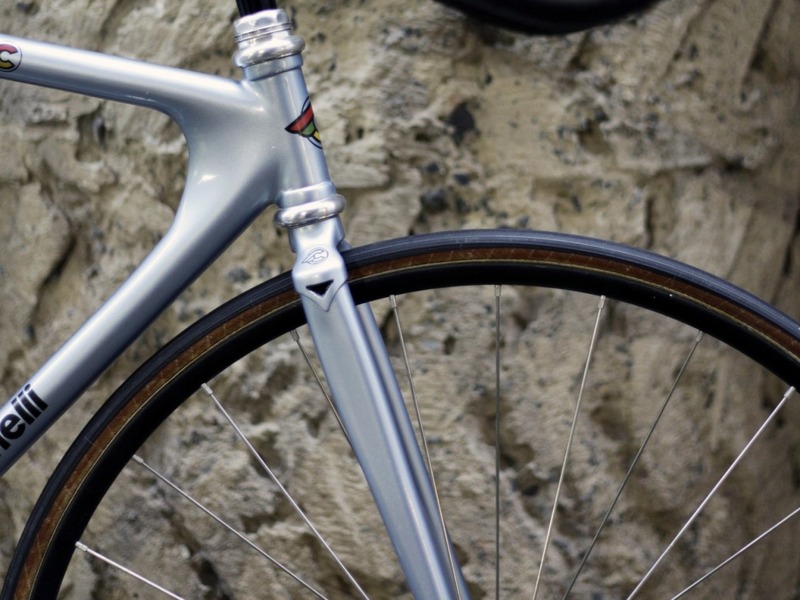 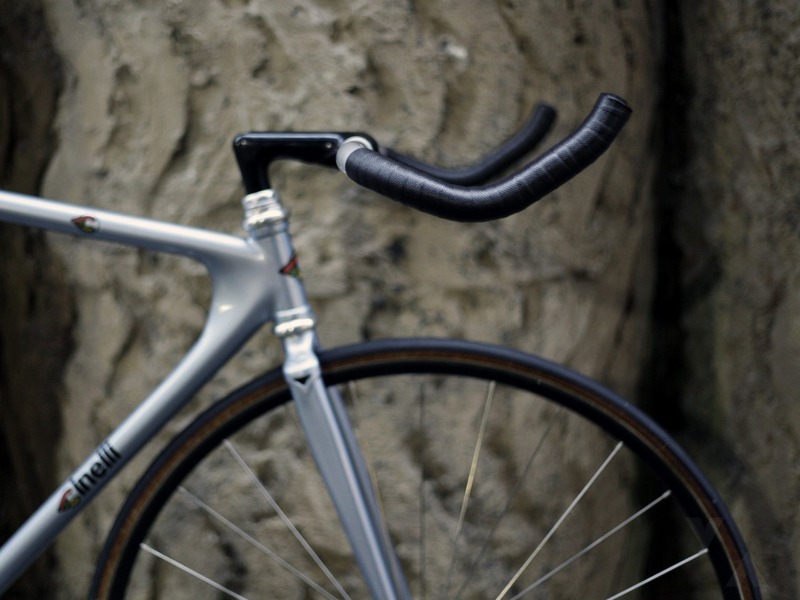 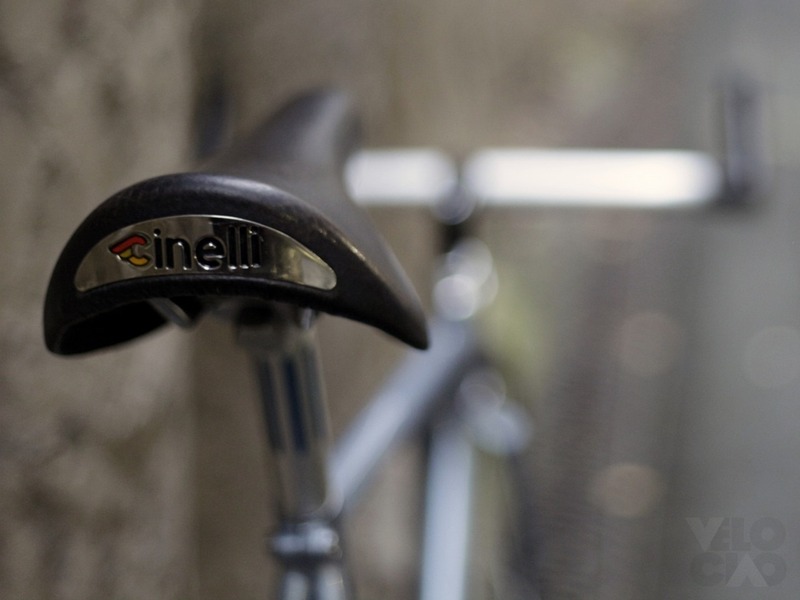 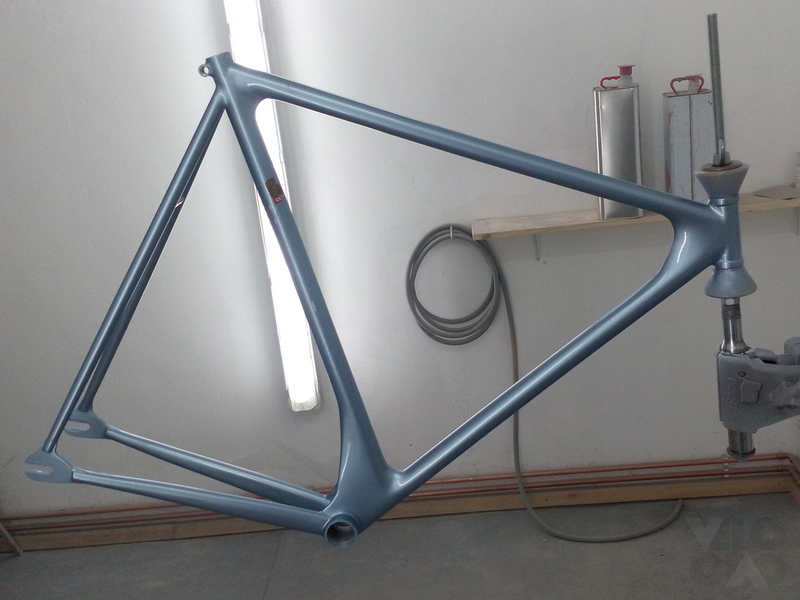 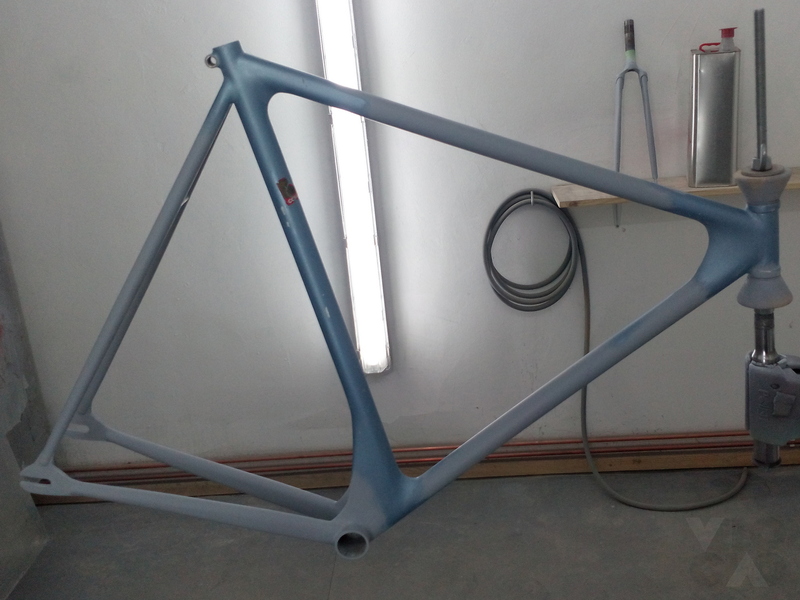 The frameset was found by our good customer Stephan in the north italian region of Reggio Emilia. 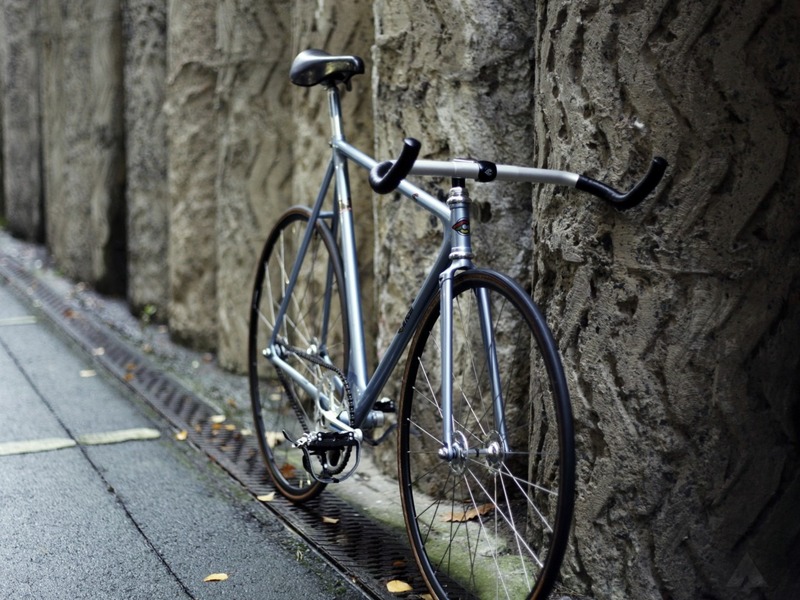 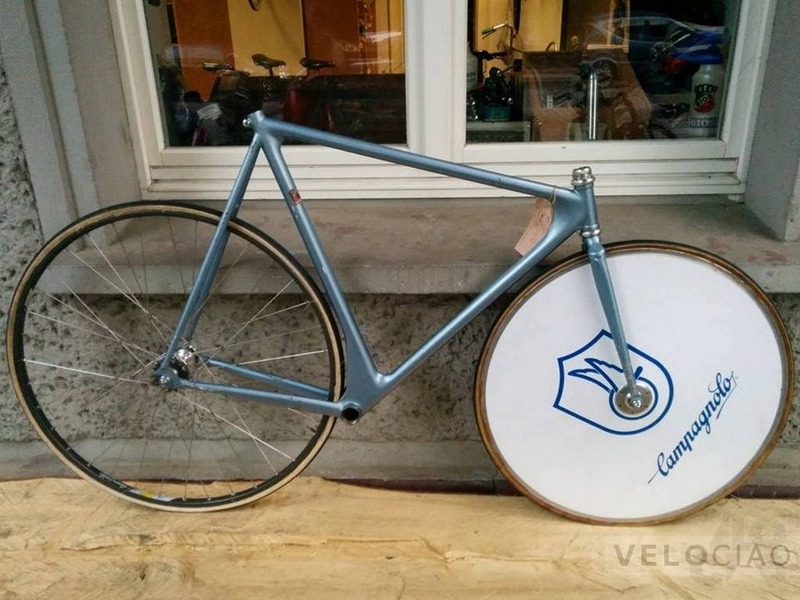 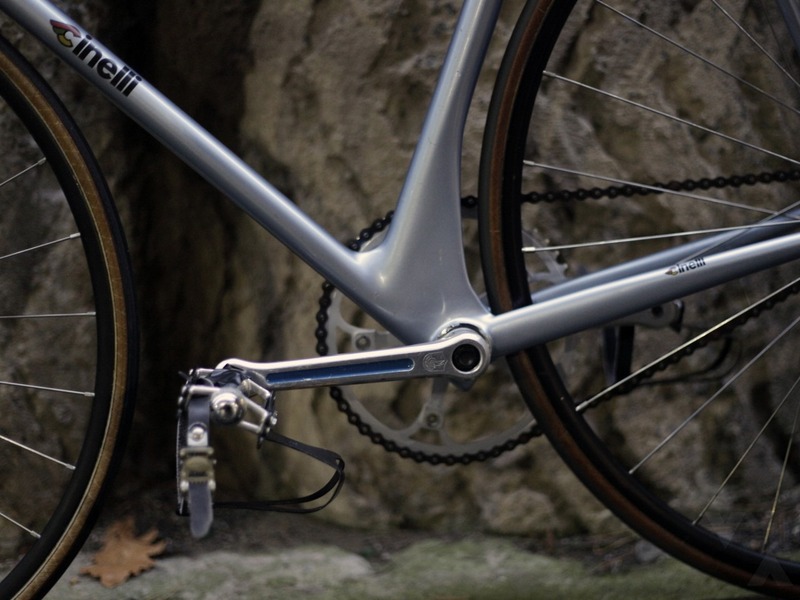 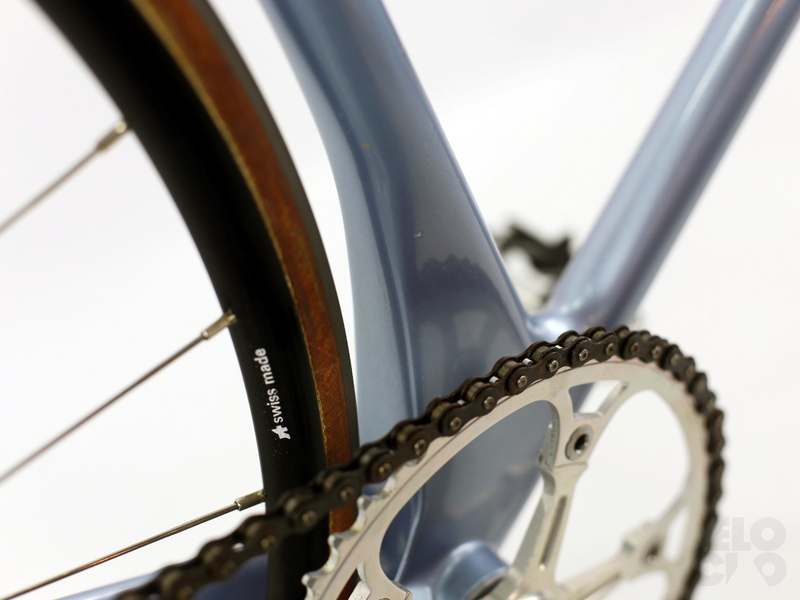 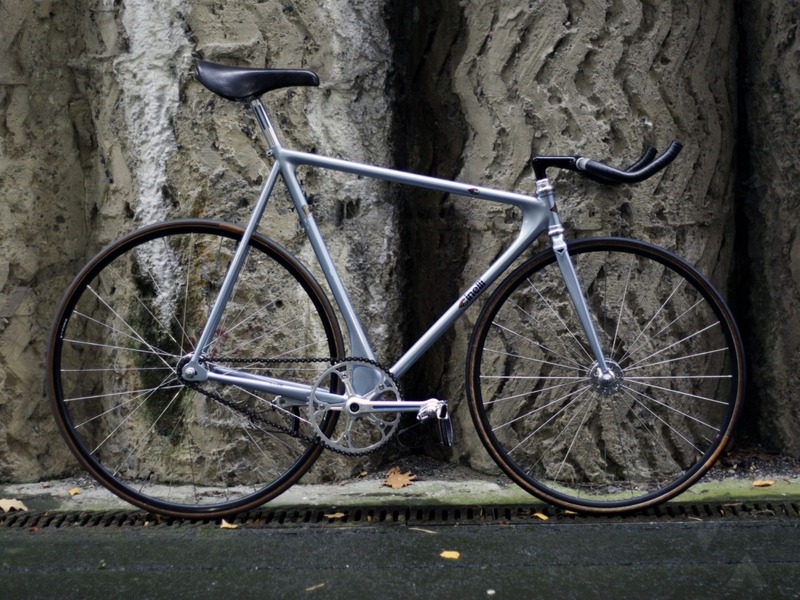 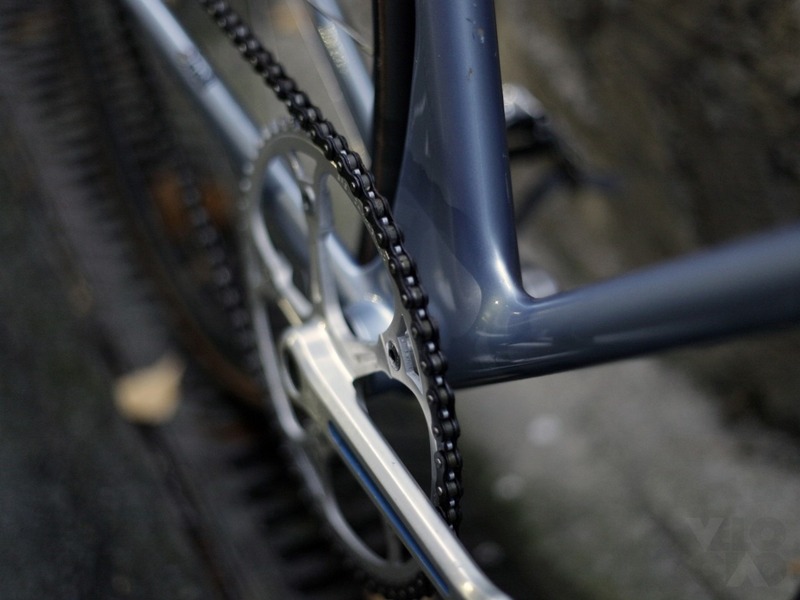 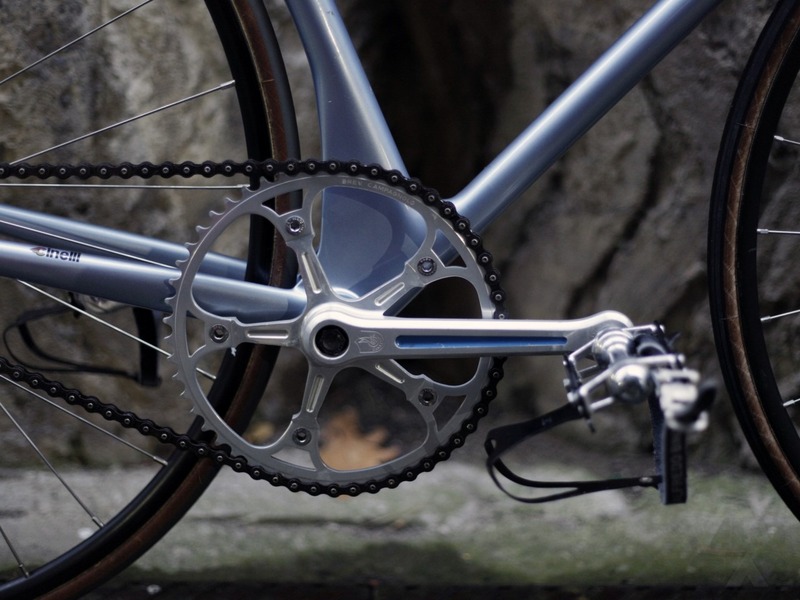 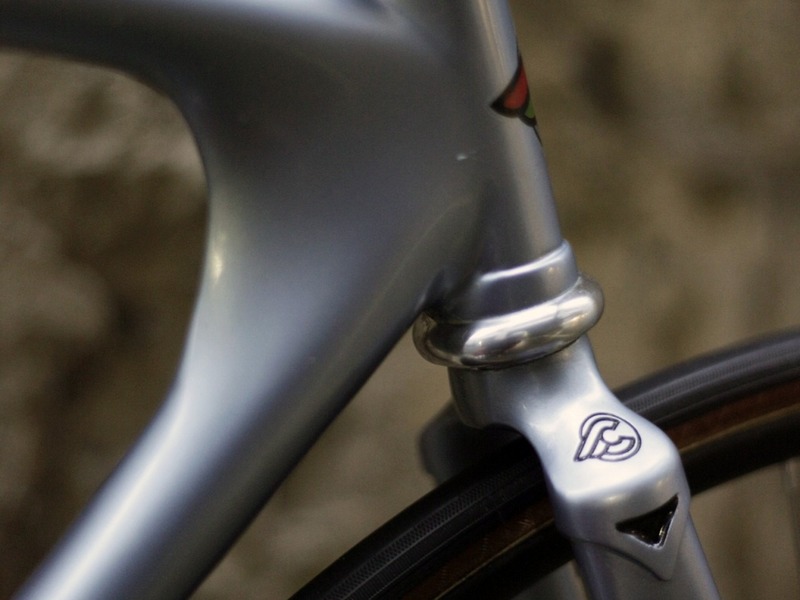 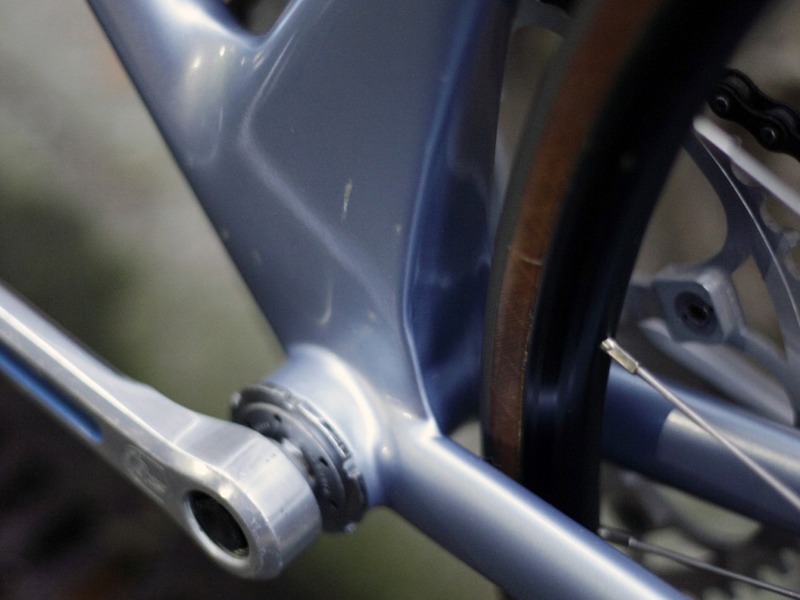 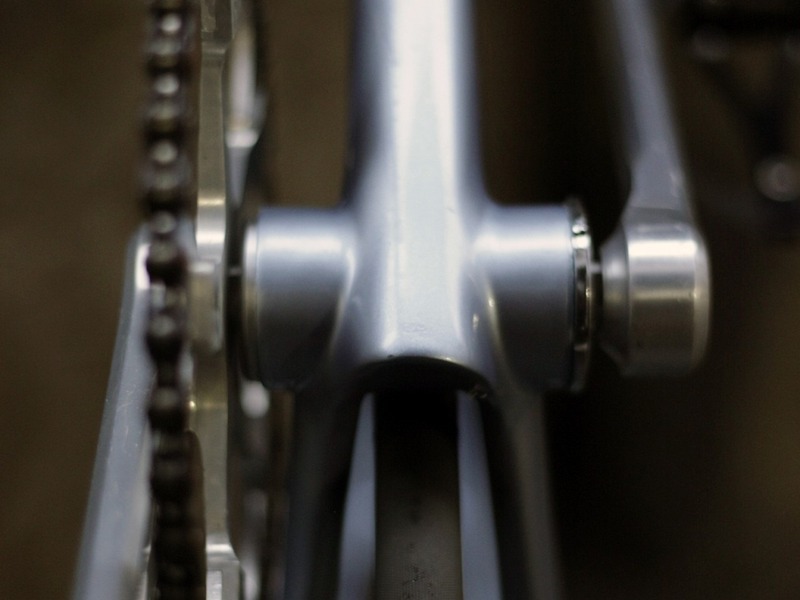 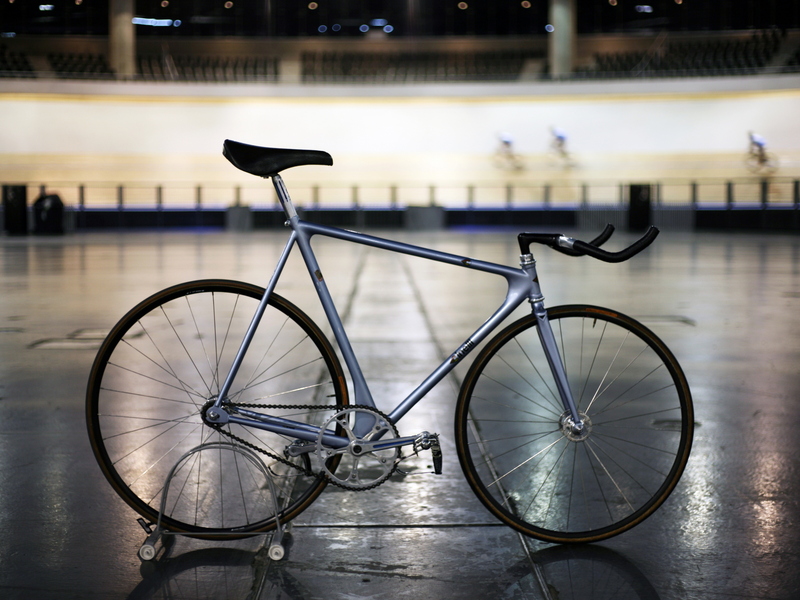 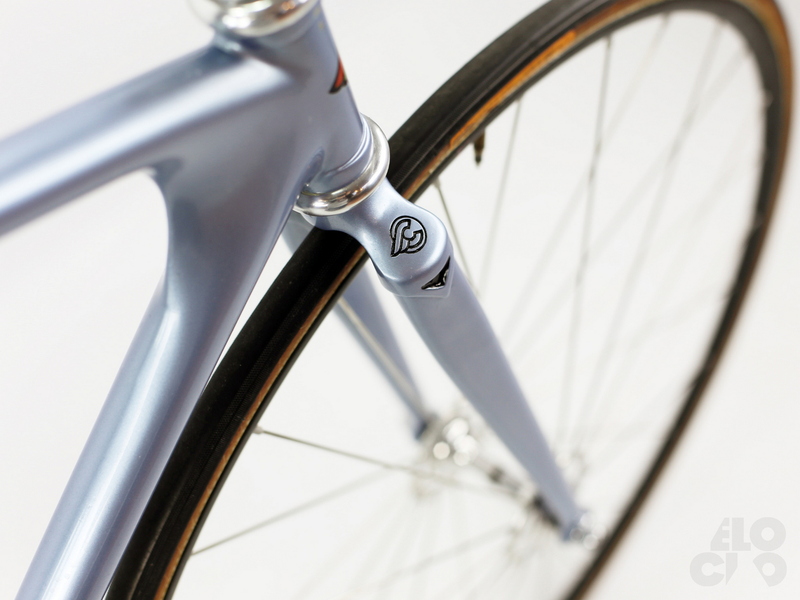 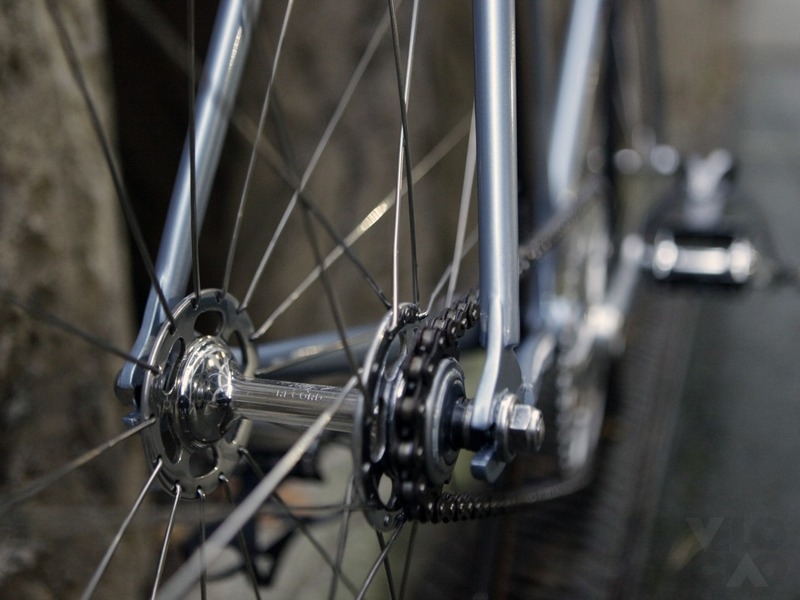 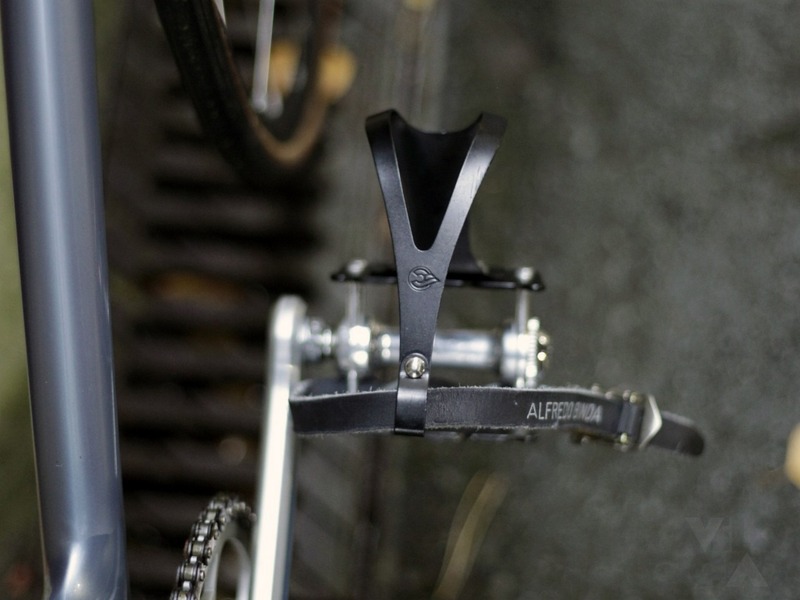 He bought it with a Campagnolo Pista headset, the Campagnolo 165mm Pista cranks and a 650c Campagnolo front disc. 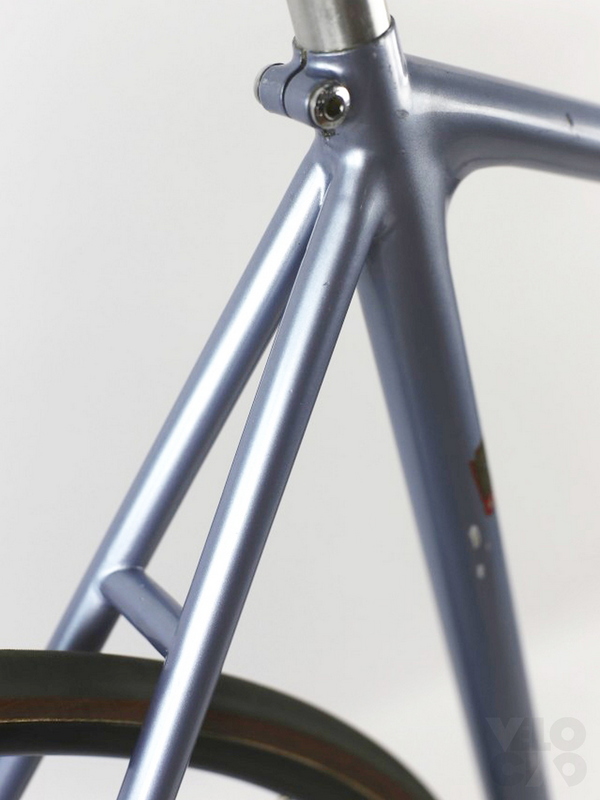 The disc unfortunately was slightly damaged so we decided against it for the build. 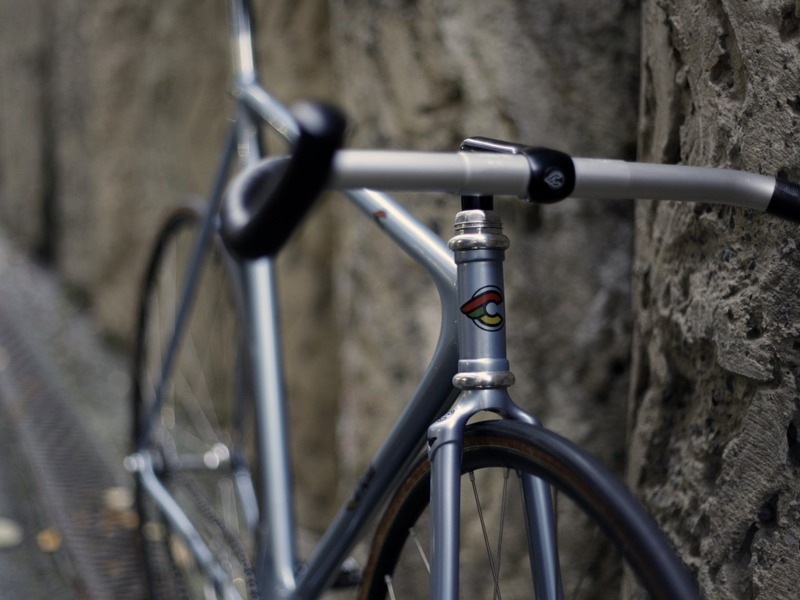 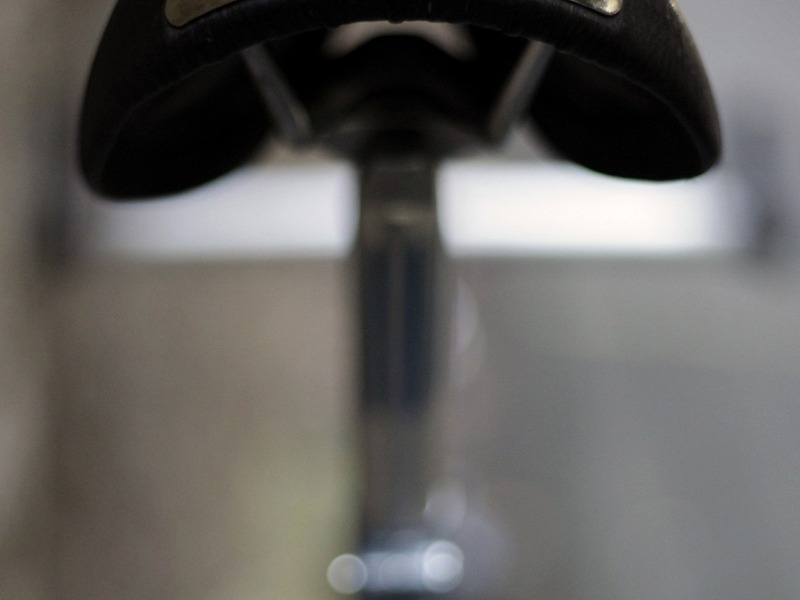 After usage in the national team the bike was given to the local F.C.I. 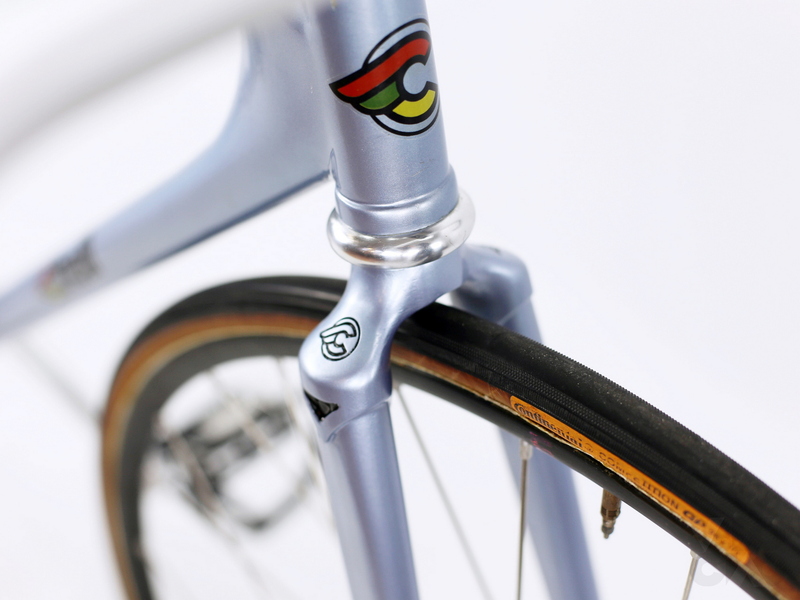 (federazione ciclista italiana) section. 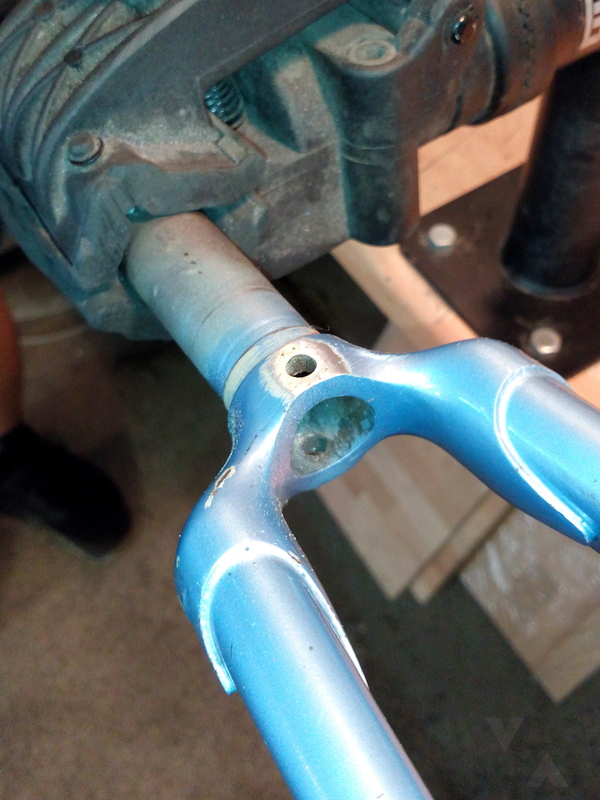 The bike club rebuild it to a training bike for the road and drilled holes to be able to mount brakes. 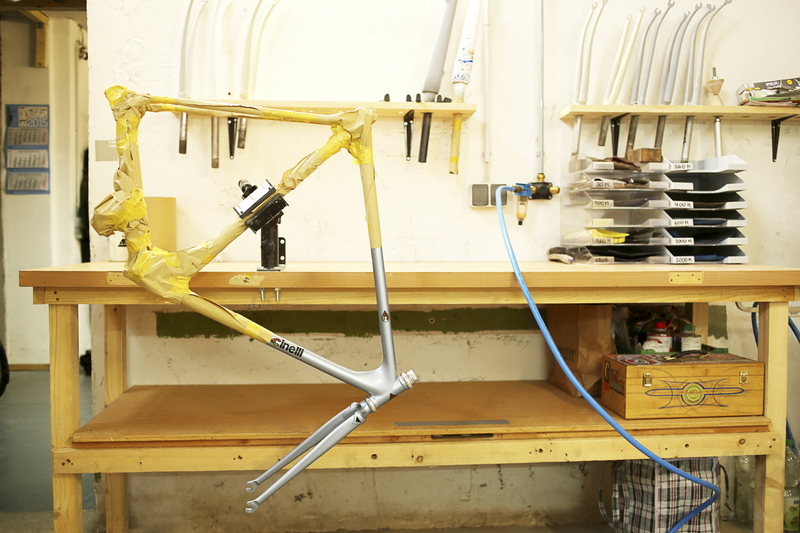 Stephan gave us the order to put everything back to its original setup. 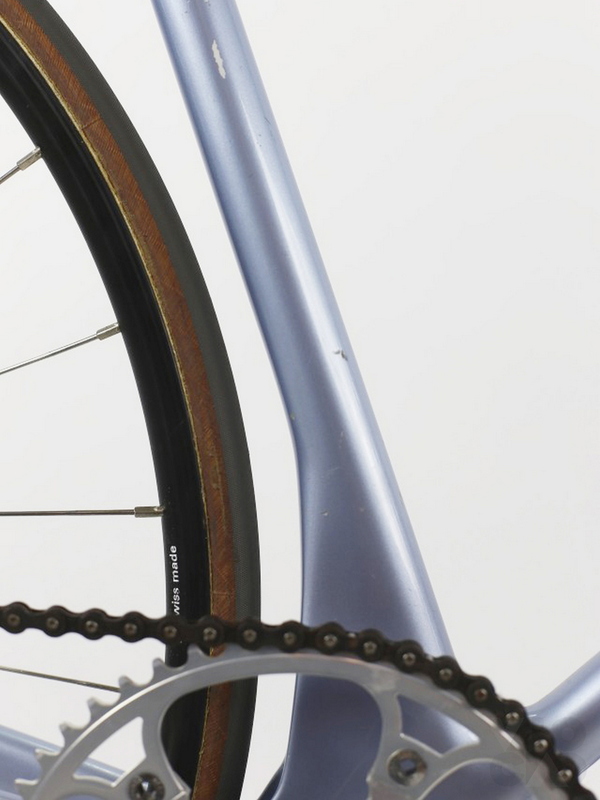 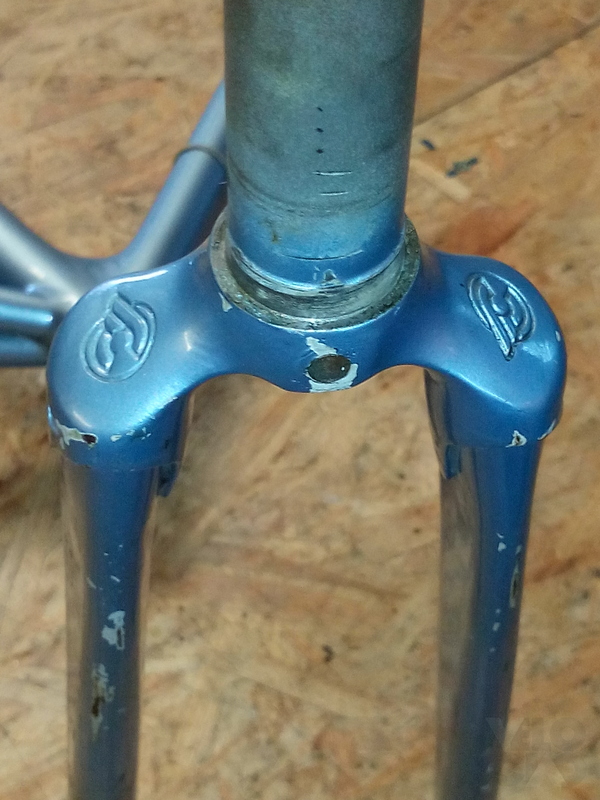 Mainly to fill the drilled brake holes and to keep as much patina as possible. 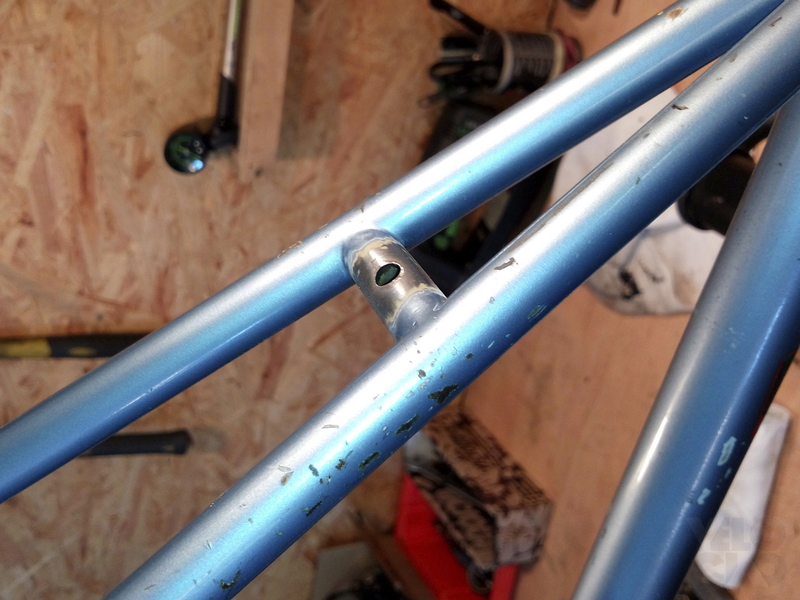 Close the holes in frame and fork. 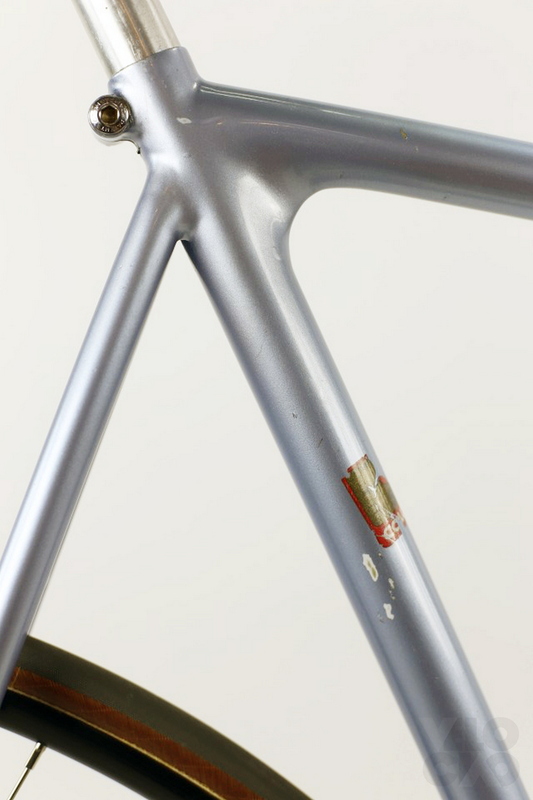 Find and assemble the missing parts. 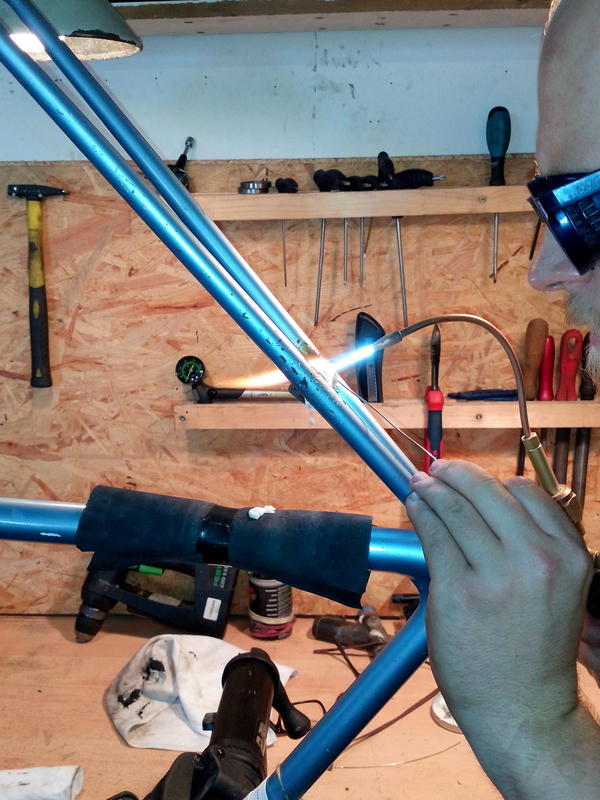 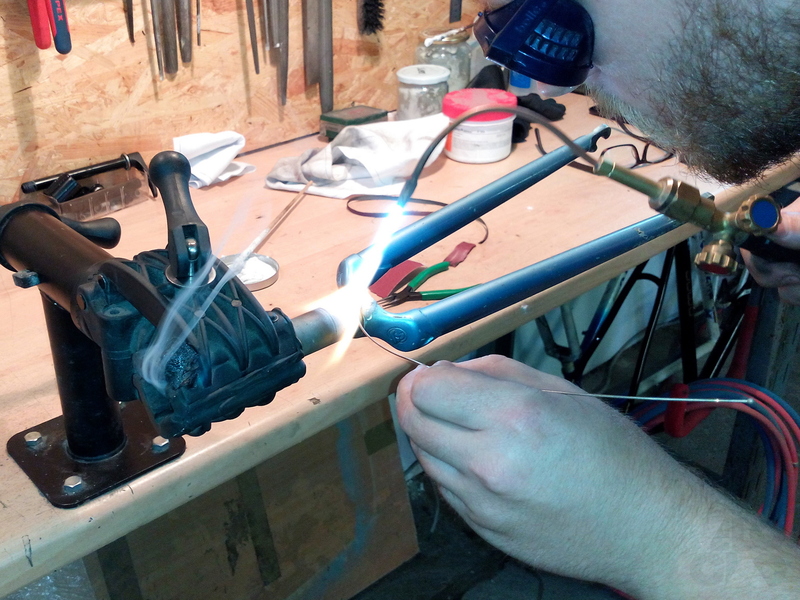 First, the brake holes were sealed with silver solder, done by our good friend and framebuilder Peter Laubsch. 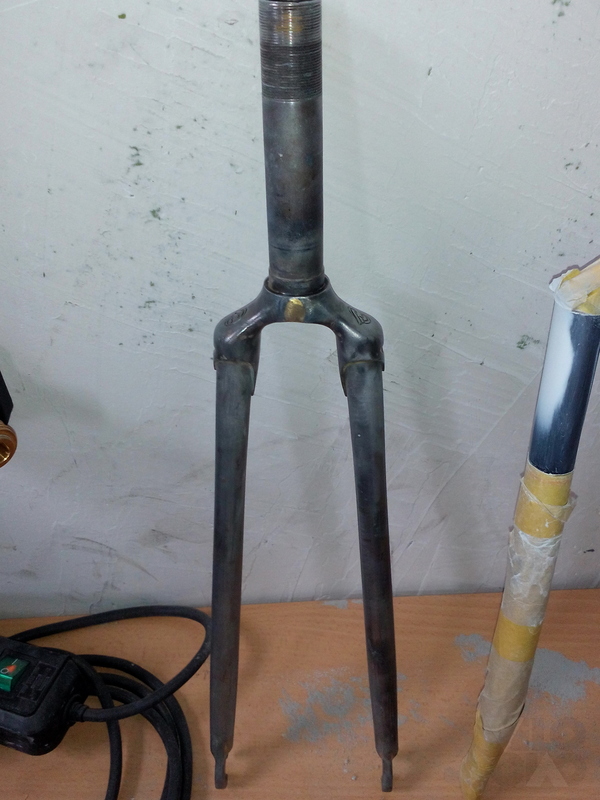 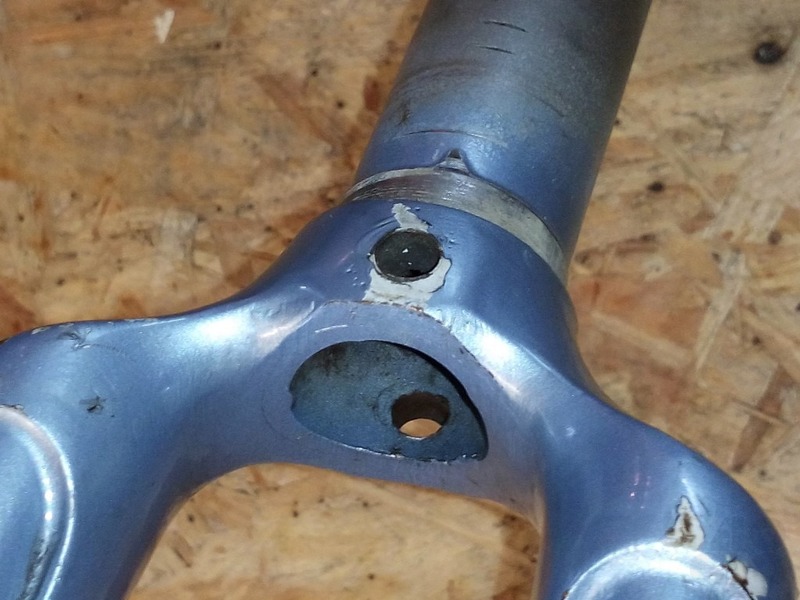 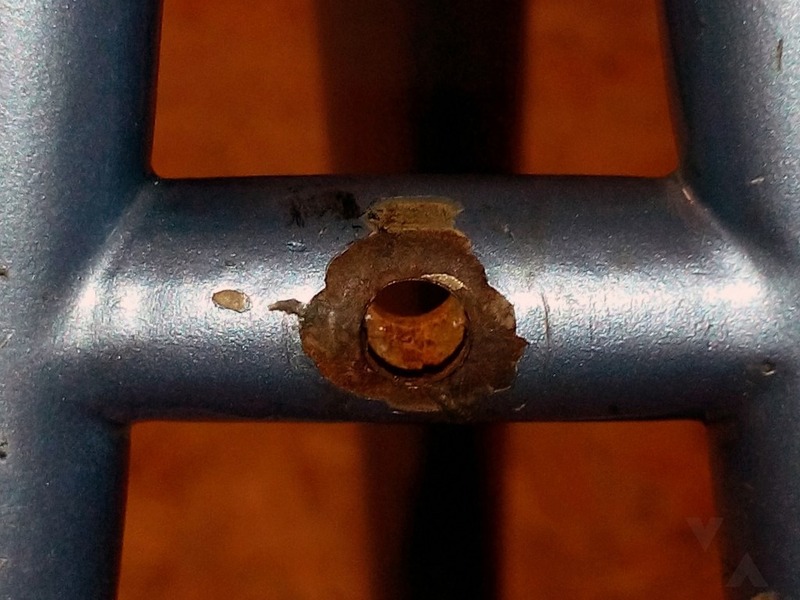 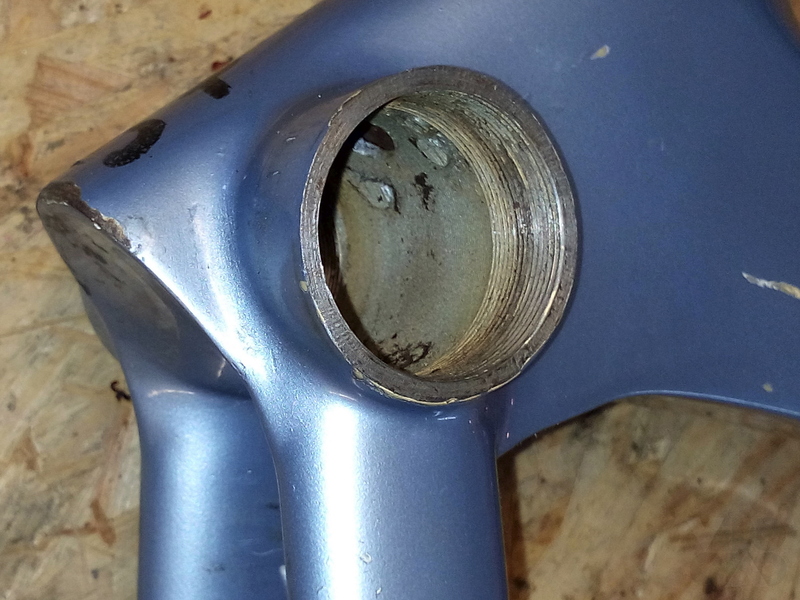 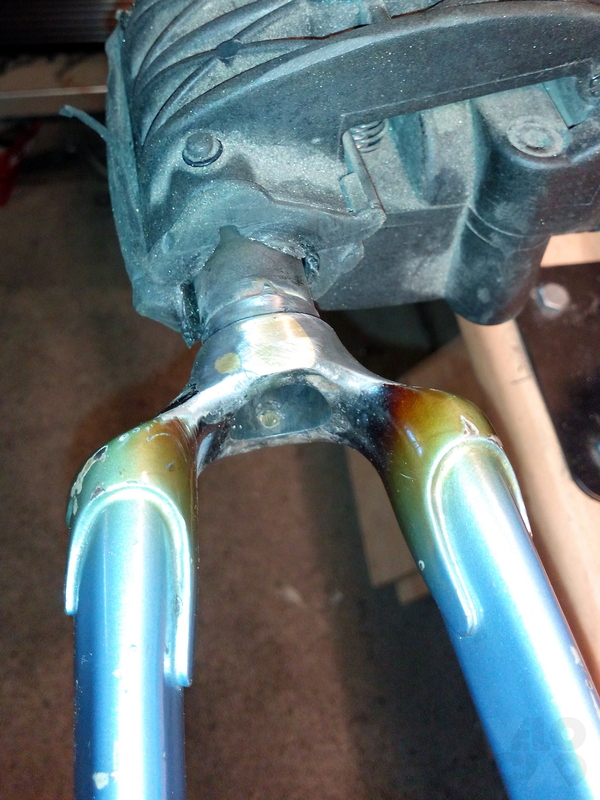 We sanded off the paint at the necessary points to repair the brazed spots and spots the rust had gone to far. 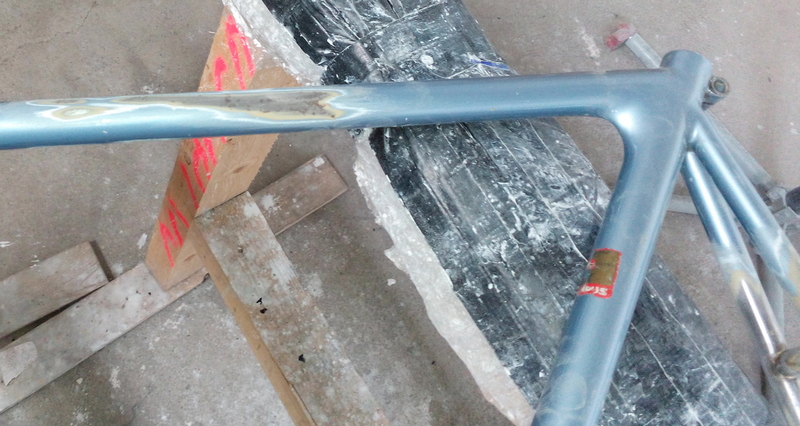 To our surprise every point we opened showed coverage with a very thick spray filler (yellow). 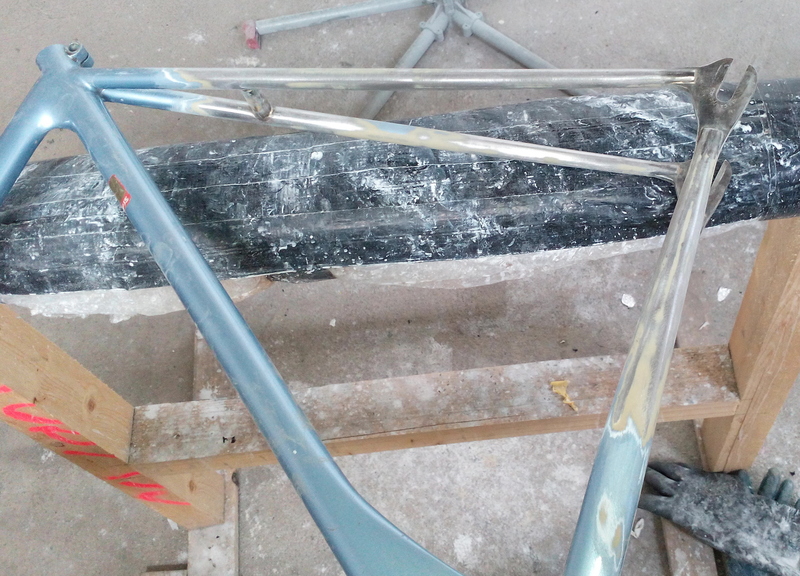 It seems as if the complete frame had been sanded like an sculpture in preparation for an perfect surface and shape. 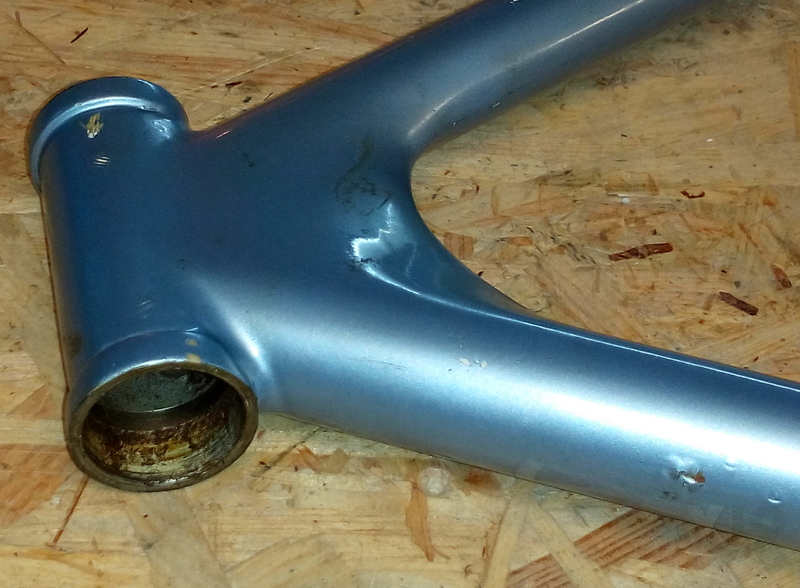 By the way: the aero sheets are made from metal. 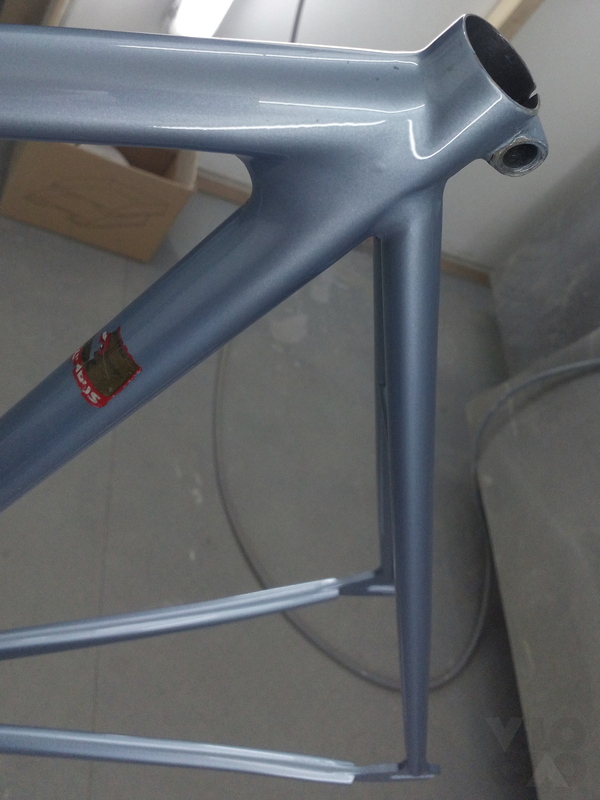 The color of the aged paint was matched and the layers of paint have been rebuild and blended in a lot of steps of painting, sanding, blending, polishing. 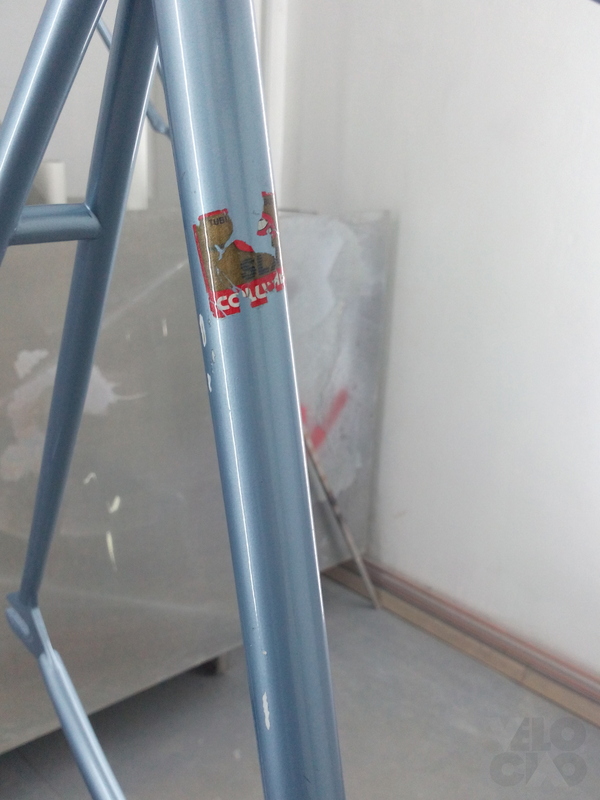 The transfers are dry fix and applied on top of the paint.